Last year around this time, we saw first hand how Captain America: The Winter Soldier changed everything and splintered the original 6 members of Agents of S.H.I.E.L.D. apart. This time around, we see how Agents of S.H.I.E.L.D. not only sets up for Avengers: Age of Ultron, but also how this event will bring those original 6 back together – if only for one episode. With a war growing between the factions of S.H.I.E.L.D., Hydra and now the Inhumans, things are going to keep getting bigger and bigger as we approach the 2 hour Season Finale. As always, let’s first take care of the episode title. “The Dirty Half Dozen” is of course a reference to Coulson’s original team of six reuniting. Additionally, the ‘Dirty’ part factors into how each of them has an air of mistrust about them: No one trusts Ward, May might have sold Coulson out, Coulson can’t be trusted, Skye’s Inhuman, FitzSimmons still stand loyally to Coulson more than S.H.I.E.L.D. 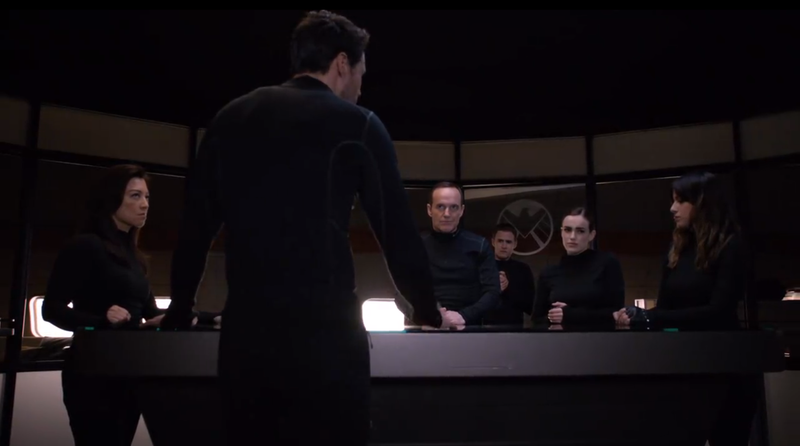 All in all, each character gives off a feeling of distrust – whether its to the team itself or Gonzales’s S.H.I.E.L.D. at large. This by and large makes the team ‘acceptable’ losses in Gonzales’s eyes. Though the much more iconic reference this title makes is to the 1967 film “The Dirty Dozen” in which a bunch of ex-soldiers and criminals are banded together for a suicide mission with the promise of clearing their names and crimes. That is basically the premise here – just a half dozen rather than a full dozen. 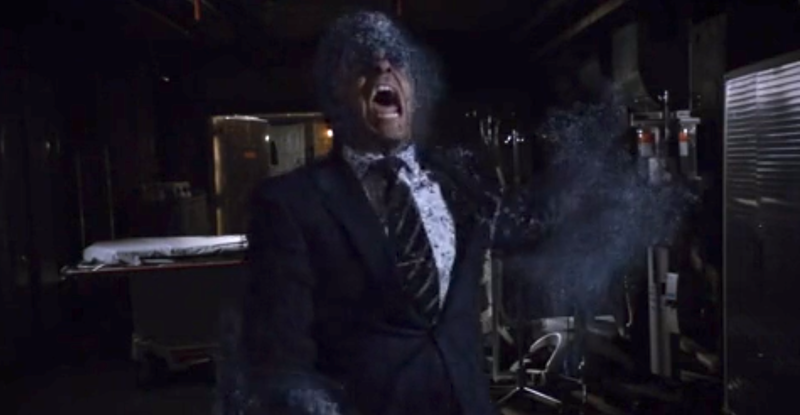 Gonzales expresses at numerous times that he sees Coulson’s mission as suicide and doesn’t care if they’re lost because he doesn’t see Coulson’s crew as S.H.I.E.L.D. Agents. The only S.H.I.E.L.D. Agents he cares about are his own, and if you’re not under his flag you’re not S.H.I.E.L.D. So the original team is back together… well that’s going to make things awkward. In fact, one of the central themes of this episode was ‘awkward reunions. Since he’s the focal point – aka “the elephant on the plan” – let’s start with Ward, who at some point or another has had each member of the team try to kill him. 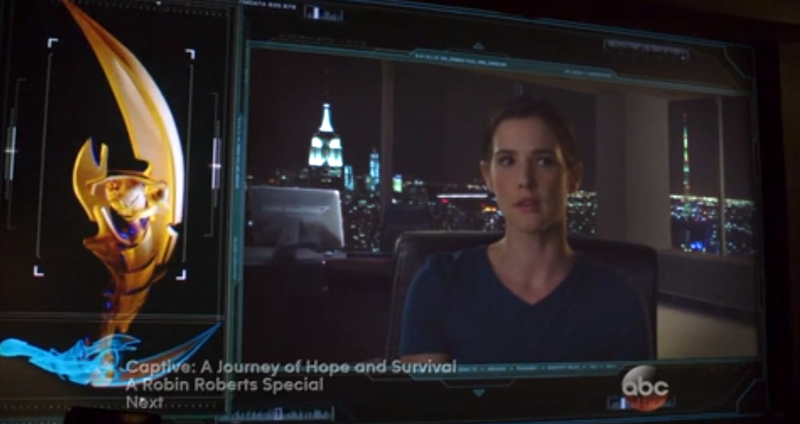 Though to be fair, everyone EXCEPT Jemma has tried to kill Ward until the end of this episode. Either way, there are a lot of hard feelings here that will most likely never get swept under the rug. Whether Ward honestly regrets breaking up their family or if this is all just some bigger ploy remains to be seen, but for the moment he seems genuine. Though to be quite honest, there seemed to be one meeting even more haphazard than this: Coulson and Gonzales. Gonzales doesn’t trust Coulson at all, but Coulson isn’t the only one keeping secrets. We’re reminded that Gonzales’s ship the Iliad is holding a very powerful and dangerous weapon below deck – the same weapon that made Fury want to blow up the entire ship rather than have it fall into the wrong hands. What Gonzales is planning on using that for is still a mystery, but his growing paranoia and untrustworthy nature isn’t. I’ll discuss this more later, but for now it’s important to realize that as similar as Gonzales and Coulson are made to be this episode, they are different – and it’s those key difference that matter. Coulson gives orders to a team with differing opinions, Gonzales casts votes with a majority largely sharing his narrow view. If anyone speaks up to Coulson, they’re a consideration. If anyone speaks up to Gonzales – like Bobbie – she’s the minority. All in all there was only one awkward reunion that ended well this episode, and that was Hunter and Mack. Sure Hunter and Bobbie will be a much more awkward talk, but here Hunter faced the former friend who knocked him out and then held him captive – and he forgives him. Sure Hunter tells Mack that it’ll take a lot more than just a round of drinks to make up for what’s happened, but Mack agrees. Whether these ‘amends’ will play a bigger role or not remains to be seen; but this scene certainly made both men look great: Hunter as the forgiving friend, Mack as the genuinely sorry man of principles. This is probably the first time all half season I didn’t want to slap Mack. As I started to speak about in the last section, Gonzales has ulterior motives and they are becoming more and more clear to Bobbie. We already know that he wants to wipe out all powered people, and now with Skye and a very badly injured Lincoln in his capture, sides are going to be chosen very quickly. It seems as though Gonzales’ S.H.I.E.L.D. might just find itself at war with Afterlife, and the events of Avengers: Age of Ultron sure won’t help his distrust of Coulson and the old S.H.I.E.L.D. Beyond that, Ward is still in the wind and despite it seeming like he cares for Agent 33, we still have Simmons’s assessment that ‘that isn’t love’. On one hand, who is she to judge that; but on the other you do have to admit that things with him seem to be tying up a little too easily. Ward has something else planned, but will it bring about his total redemption or just confirm his feelings that there isn’t enough good left inside him? In the end, we’ll have to see what wins out in the end, his nature or the situations around him – but he’s not the only one with those choices. A few episodes ago I theorized that Raina could use her powers for bad and to cause an uprising at Afterlife. Now with Cal telling everyone that he and Jaiying have a child – Skye – , mistrust of Jaiyin could begin as she predicted. Though the smile on Raina’s face when she realized her gift was premonition was quite unnerving. She could very easily use it to sway people, like she did Skye. Though was she pushing Skye towards saving the day OR did she think her vision meant Skye would die? We have to heed Cal’s warnings/reminder that Raina is manipulative – all accusations Skye threw at her before – but will these ring true or will the circumstances of her new gift prevent that. We know she’s bad, but just as she was threatening Jaiying, she got hit with a powerful vision of what’s to come. Will Raina use her powers for evil OR will her powers continue to overwhelm her and make her realize that she is indeed part of something bigger? Only time will tell, but luckily – or unluckily depending on who you are – Raina’s latest vision will come true this weekend. There were TONS of set-ups for Avengers: Age Of Ultron this episode. For starters, we heard Dr List mention “the twins” whom Strucker is keeping in Sokovia. These twins of course are the latest Avengers-To-Be Scarlet Witch and Quicksilver. Though the connections didn’t end there as we learned that the true aim of Coulson’s rescue mission was to reclaim Loki’s Scepter, which has now been confirmed to be the sole item used to control minds – something that adds more assurance to it being The Mind Gem. It is this hunt for the scepter that will kick off Avengers: Age of Ultron as we see Coulson finally reveal that the Theta Protocol was in part redeploying the Avengers. Judging from some clips, the claiming of the Scepter will set off a chain of events that will cause a lot of problems in the upcoming film. 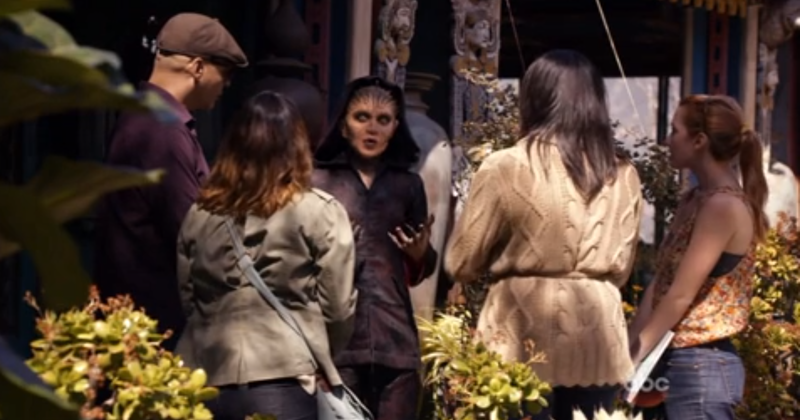 As for what all Coulson’s ‘buying’ means for Theta Protocol and Avengers, it could have something to do with a scene filmed last summer that appeared to be an Avengers Academy where people were being trained. Let’s keep our eyes and ears peeled for now; but there was one finally lead up for the Avengers that was as clear as day: Raina’s vision. Again, Raina’s vision started with her seeing the scepter but ended with so much more. These “men made of metal” who “tear our cities apart” are obviously the Ultron drones that will do battle with the Avengers in the upcoming film. Unlike the first film, the destruction this time around will be MUCH larger scale. Even more so that the first time, “the world [will be] changed forever”. It is this event – paired with Agents of S.H.I.E.L.D. – that will begin to set the stage for Captain America: Civil War and the entirety of Marvel Phase 3 at large. Is Jaiying actually going to discuss things with Cal or is she going to plan something more permanent than ‘sending away’? Considering the Raina questions to follow, I think he might stay on a bit with her. Apparently Bobbie and Agent 33 knew each other slightly before Hydra got to her. Will those connections make Agent 33 come back or will that connection be used for something darker? Using the BUS as a decoy and then using the small attached ship as ‘rubble’ was brilliant. Can we take a moment to appreciate how awesome Skye was this episode? From using her powers for both offensive and revival purproses to taking out and entire room of Hydra Agents, she’s definitely THE Agent for this episode. What happened to ‘keep Fury’s living status a secret’ Coulson? “It isn’t finished yet” Raina about the Scepter. This confirms my earlier comments on how the scepter will bridge the gap and tie Avengers 1 and 2 together. This episode started a 3 part ‘tie in’ process. So go see Avengers: Age of Ultron this weekend – and my related articles – and then watch Agents of S.H.I.E.L.D. next week in order to see: How Age of Ultron picked up from this episode and how next episode picks up from Age of Ultron. Also, stay tuned here for articles that will explore all of that. April 29, 2015 in Marvel's Agents Of S.H.I.E.L.D.. Tags: ABC, Age of Ultron, Agents of S.H.I.E.L.D., Agents of Shield, Avengers 2, Avengers 2: Age of Ultron, Infinity Stone, Marvel Studios, Marvel’s Agents of S.H.I.E.L.D.